Give Me A Home Among The Gum Trees! We are excited to present 8 Pygme Street, North Lakes to the market! Built by Brad McLachlan, this stylish and contemporary home offers 33 squares of modern living backing onto bushland. Five bedrooms, ducted A/C, 9ft Ceilings, separate media room with projector and screen as well as built in speakers. Stone bench tops throughout and open plan kitchen, living and dining which flows out to outdoor covered entertaining area. Sitting on a large 700sqm block, with side access, 5000lt water tank and a stunning saltwater, in ground swimming pool and still room for the kids to run around. There’s also fully insulated colourbond roof and a fully treated timber frame with 25 year Termite Warrant. 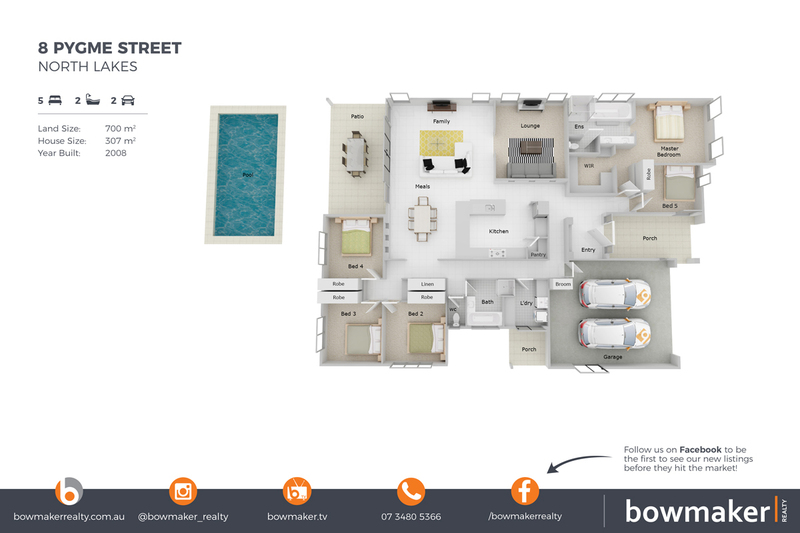 A comprehensive list of special features, inclusions and details, photos, videos and information for this property can be found online at 8pygmestreet.com!